Purpose: The Hirschsprung’s disease Anorectal malformation QoL questionnaire (HAQL) is a disease-specific quality of life (QoL) questionnaire for patients with Hirschsprung’s disease (HD) or anorectal malformations (ARM). It was originally proposed in Dutch and is currently being translated into other languages to obtain an internationally standardized instrument. In this work we validate a French adaptation of the HAQL for adolescents and adults. 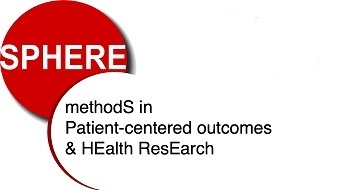 Methods: The questionnaires were translated into French and sent to patients aged 12 years and older, followed for HD or ARM at three French university hospitals. Questionnaires were sent to 147 adolescents and 188 adults. The psychometric properties of the questionnaires were analyzed in terms of reliability and validity. Results: The original HAQL structure was not satisfactory. A new structure was proposed, while aiming to remain close to the original structure. The proposed structure has acceptable reliability and validity properties and reflects both physical, as well as psychosocial aspects. Conclusion: A French version of the HAQL questionnaire for adults and adolescents is ready for use in France. In particular the score could discriminate between degrees of clinical status based on the Krickenbeck consensus, which can aid clinicians to inform patients about physical and psychosocial challenges they may expect. Barais M, Laporte C, Schuers M, Saint-Lary O, Frappé P, Dibao-Dina C, Darmaun D, Bouchez T, Gelly J (2017) Cross-sectional multicentre study on the cohort of all the French junior lecturers in general practice. Eur J Gen Pract, 24(1): 99-105. Dany A, Rapin A, Lavallart B, Saoüt V, Reveillère C, Bassez G, Tiffreau V, Péréon Y, Sacconi S, Eymard B, Dramé M, Jolly D, Novella JL, Hardouin JB, Boyer F (2017) The quality of life in genetic neuromuscular disease questionnaire: Rasch validation of the French version.. Muscle Nerve, 56(6): 1085-1091. Fossum P, Le Meur G, Couret C, Pechereau A, Hode F, Albert F, Anthoine E, Lebranchu P (2017) Validation of the French version of the health-related quality of life questionnaire for adult strabismus (AS-20). J Fr Ophtalmol, 40(9): 738-743. Dany A, Barbe C, Morrone I, Wolak A, Reveillère C, Hardouin JB, Dramé M, Sacconi S, Bassez G, Tiffreau V, Richard I, Gallais B, Jolly D, Novella JL, Boyer F (2015) Construction of a Quality of Life Questionnaire for Slowly Progressive Neuromuscular Disease. Quality of Life Research, 24(11): 2615–2623 . Blanchin M, Dauchy S, Cano A, Brédart A, Aaronson N, Hardouin JB (2015) Validation of the French translation-adaptation of the Impact of Cancer version 2 (IOCv2) questionnaire on a breast cancer survivors population. Health and Quality of Life Outcomes, 13: 110. 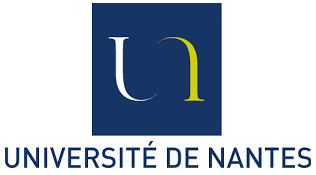 Panouillères M, Anota A, Nguyen T, Brédart A, Bosset J, Monnier A, Mercier M, Hardouin JB (2014) Evaluation properties of the French version of the OUT-PATSAT35 satisfaction with care questionnaire according to classical and item response theory analyses. Quality of life Research, 23(7): 2089-2101. Anthoine E, Coutherut J, Delmas C, Moret L (2014) Development and psychometric testing of a scale assessing the sharing of medical information and interprofessional communication: the CSI scale. BMC Health Service Research, 13: 14:126. Clermidi P, Podevin G, Crétolle C, Sarnacki S, Hardouin JB (2013) The challenge of measuring quality of life for children with Hirschsprung's diseases or anorectal malformations. Journal of Pediatric Surgery, 48(10): 2118-2127.